Morris Middleton Llewellyn was born on 20 April 1895 in Moonta, South Australia , son of Richard Llewellyn and Florence Kate Maddern. On 25 December 1884, Richard, married Florence Kate Maddern, in Scots Church in Wallaroo, South Australia . On 25 December 1884, Florence, married Richard Llewellyn, in Scots Church in Wallaroo, South Australia . Garnet Roper Male was born on 21 April 1903 in Parkside, South Australia , son of Horace James Male and Jane Roper. 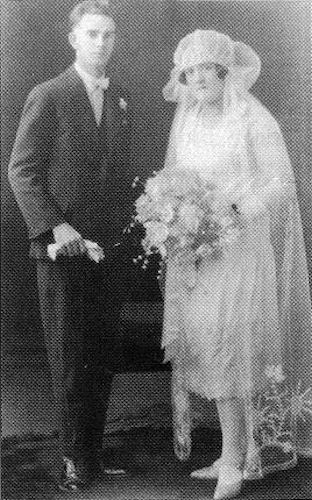 On 24 December 1931, Garnet, aged 28, married Helen Ida Dutton, aged 27, daughter of Edward Ernest Dutton and Helen Ida Mary Venn, in St Michael's Church in Mitcham, South Australia . On 12 June 1900, Horace, married Jane Roper, in St James Church in Glenburn, South Australia . On 12 June 1900, Jane, married Horace James Male, in St James Church in Glenburn, South Australia . Nina Emmaline Stirling was born on 27 July 1888 in North Adelaide, South Australia , daughter of Edward Charles Stirling and Jane Gilbert. On 29 August 1927, Nina, aged 39, married Archibald Fisher Maxwell Jaffrey, aged 36, son of Archibald Maxwell Jaffrey and Elizabeth Susan Fisher, in Church of the Epiphany in Crafers, South Australia . [S2] Birth Registrations, S.A. Births 1907-1928, Book 209A: Page 528. 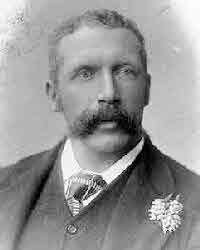 Edward Charles Stirling was born on 8 September 1848 in Strathalbyn, South Australia , son of Edward Stirling and Harriet Taylor. On 27 June 1877, Edward, aged 28, married Jane Gilbert, aged 28, daughter of Joseph Gilbert and Anna Brown, in St Thomas Church in Pewsey Vale, South Australia .